N.B. Many of our Royal Caribbean Cruise special offers are strictly “members only” and never released to the general public. Everyone knows the name Royal Caribbean: it brings to mind the best of cruising in all its glory. This is an award winning cruise line that sails from both Southampton and Harwich in England, taking you to all kinds of superb destinations courtesy of one of its three UK based cruise liners. Royal Caribbean didn’t actually originate anywhere near the Caribbean; instead it was formed by three companies all hailing from Norway. 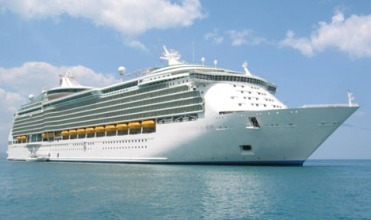 Compared to some cruise lines around today, Royal Caribbean is still quite young in age, having been formed in 1968. Since then it has invested in many different ships and has half a dozen different classes, including the Radiance Class and the Sovereign Class ships. 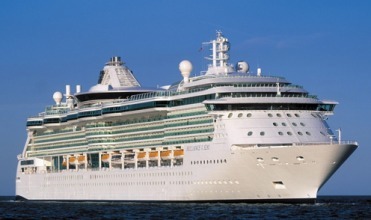 When you travel with Royal Caribbean you are sure to have an amazing cruising experience. What kind of style and ambience can you look forward to? The first thing you will notice when you explore the opportunities offered by this cruise company is the size of their ships. Some carry three thousand or so passengers, making them among the largest in their size. However it isn’t the number of people they carry that makes them worth looking at more closely: it is the number of facilities you have to choose from. Think of numerous restaurants and bars, casinos, cinemas, sporting facilities and much more besides. 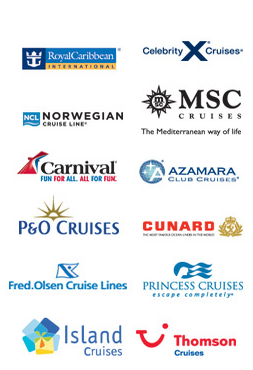 You will get all this and more on board these fine ships, and every detail has been carefully taken care of. The six classes of ships ensure you have the opportunity to choose the most appropriate one for your needs too. So while some are extremely luxurious, others are a little more down to earth (but still fine examples of what the perfect cruise ship should be like). Wherever you want to go in the world, you can get there with Royal Caribbean. From cruises taking you all over Europe to cruises in the Middle East and India, you can sample many different destinations and countries on one or more of their cruises. You could visit colder countries like Alaska or head somewhere warmer like the Bahamas or Bermuda. Whatever you choose you are likely to find the perfect cruise itinerary offered by Royal Caribbean. Other typical destinations include venues in Australia and New Zealand, as well as South America. Oh, and don’t forget the opportunity to visit the Caribbean too! There are three ships that serve UK travellers, with one travelling from Harwich and the remaining two travelling from Southampton. There are of course many other options from the UK for those interested in fly cruises. There are more than a thousand staterooms on board the Brilliance of the Seas. More than 80% of them benefit from having an ocean view, while just over half of the thousand staterooms have balconies, so you can see the accommodation is excellent. The remainder are interior staterooms and there are a number of rooms suitable for those in wheelchairs. You’ll also have a chance to sample the delights of the Casino Royale, the Chops Grille Steakhouse and even the Schooner Bar, not to mention many of the other services on board. This ship boasts an impressive 1,557 staterooms, with approximately two thirds offering a view of the ocean. In addition some 765 of them have a balcony to enjoy. The ship also has more than two dozen staterooms that are accessible for wheelchairs. Do you fancy playing a game in the Seven Hearts Card Room? How about listening to some music in the Blue Moon Jazz Club? Perhaps the Windjammer Cafe will provide you with the snacks you are in the mood for. Whatever you need, from a library to a casino, you’ll find it on board the Adventure of the Seas. 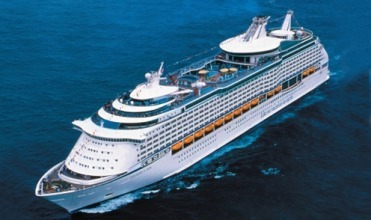 When you step on board the Independence of the Seas you immediately see the benefits to cruising on this ship. With more than 1,800 staterooms, over a thousand of them offer an ocean view and more than 800 each have a balcony. In addition to this 32 staterooms have facilities for wheelchairs if required. You can be sure of all the entertainment you need on board as well. Enjoy a drink in the Dog and Badger Pub, or a meal at the Chops Grille. Alternatively browse through some volumes in the library or enjoy some entertainment at the Alhambra Theatre. 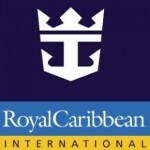 CruiseOffers.co.uk – Enjoy big savings on Royal Caribbean cruises from UK.